In a humbling moment for our species, the following big news has just been published: When it comes to the frontal lobes, we're not so special after all. For years, scientists have attempted to pinpoint the bits of our brain that might help explain our uniquely human intelligence. The frontal cortex, which resides toward the front of the brain, has frequently been singled out as large relative to other species. But the results have been mixed, with some researchers arguing for a disproportionate expansion, other researchers arguing for no expansion relative to great apes, and still other researchers arguing that it depends on which species are being analyzed. Unless one is willing to take seriously the hypothesis that lemurs have more of the qualities bestowed by frontal cortices than do humans, or that llamas possess more than monkeys, it must be concluded that testing the hypothesis that any species is specialized for frontal cortex functions, as opposed to functions mediated by more extended networks, requires scaling to be taken into account. The volumes of different brain regions develop at different rates as both brain and body size evolves. While it's true that the total volume of the neocortex-- the outer layer of the cerebral cortex-- increases with brain size faster than the cerebellum, the number of actual neurons in each of these two brain structures stays about the same. Their result? The size of our frontal lobes, including specific frontal regions such as the prefrontal cortex, is nothing special relative to the size of our other brain structures. 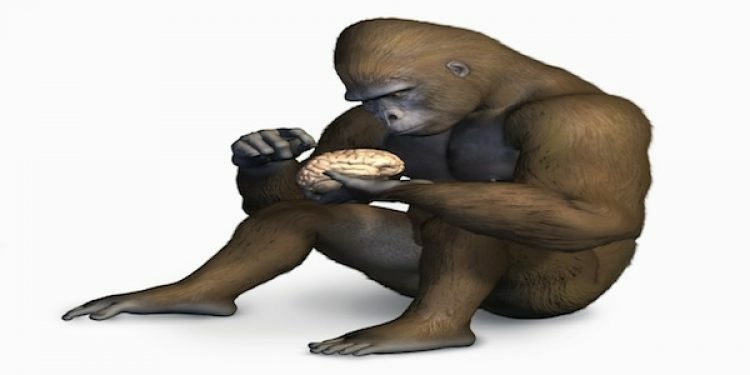 Even more humbling for humans, they also found that once we diverged from chimpanzees about 6 million years ago, the speed with which our frontal cortex volume increased relative to our other brain structures was "unremarkable". In fact, other species showed faster rates of change than us! So what gives? How come we can compose beautiful, lyrical poetry and play breathtaking cello sonatas, and gorillas can barely keep a tune? Let's consider some possibilities. For one, it's possible that nonfrontal brain regions expanded disproportionately during our evolution. In other words, maybe we've been focusing on the wrong brain regions. There's some tentative evidence of a relative expansion of temporal lobe structures after taking into account differences in brain size. But it gets tricky, because all else being equal, if there really were specific brain regions that underwent greater expansion relative to the rest of the brain, frontal regions should appear relatively small in humans. But they don't. A more likely explanation is that separate areas of our brain increased their communication with each other. In recent years, neuroscientists have discovered a large-scale brain network critical for novel and complex goal-directed problem solving. 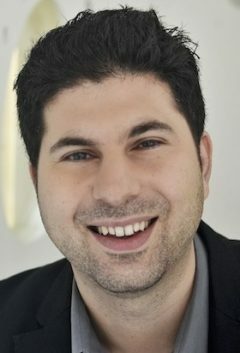 According to Aron Barbey and colleagues, a major function of this network is the manipulation, integration, and control of distributed patterns of neural activity throughout the brain, including lower-level sensory and motor modules. This neural architecture typically involves efficient and reliable communication between the outer layer of the frontal cortex (lateral region) and areas toward the back (posterior) of the parietal lobe. But other researchers such as Vivek Prabhakaran and colleagues have argued that the neural basis of human general intelligence is better characterized by frontal-posterior integration. According to this emerging view, the posterior regions of the parietal lobe are just one of the many posterior brain regions that are controlled by the frontal cortex. However posterior the integration, the frontal cortex doesn't only communicate with other areas of the cerebral cortex. I believe a hugely overlooked part of our uniquely human brain wiring is the strong connectivity we see between the frontal cortex and the cerebellum, a non-cortical region of the brain. The cerebellum plays a crucial role in our motor control and the learning of complex, well-rehearsed routines. Researchers have recently argued that throughout the past million years of human evolution, the prefrontal cortex coevolved with brain support systems—such as the cerebellum—to help store, implement, and smooth out tried and true routines and solutions. This offloading would have given much needed relief to an overburdened working memory. It has even been suggested that the increased cultural demands in only the past 10,000 years have put such an extraordinary burden on our working memory that it has driven an expansion of the cerebellum relative to the neocortex, contributing to the emergence of child prodigies. In our consideration of the neural causes of our uniquely human intelligence, we might be seriously underestimating the extent to which our ability to simplify and automatize our immediate experiences, and access a deep knowledge base on demand, contributed to our extraordinarily intellectual and innovative accomplishments. Along these lines, Liane Gabora has argued that the "human revolution"* seen in the Middle-Upper Paleolithic era between 60,000 and 30,000 years ago was due, not to new brain structures per se, but to better use of the structures we already had through the very gradual acquisition of the ability to switch between different modes of thought depending on the context. According to this account, the key to our uniquely human intelligence is not any single kind of mind, but mental flexibility. In support of this argument, Gabora and colleagues have shown through computer simulations that the ability to place things in context, and see things from different perspectives, can lead to more creative and appealing cultural products. Some of this perspective taking, especially when it involves mentally simulating the minds of others, thinking about deeply personal memories, and imagining the future, recruits the default mode brain network. This network involves areas deep inside the frontal cortex and temporal lobe (medial regions), along with communication with some outer and inner regions of the parietal cortex. Clearly, there is much we still don't know about the evolution of our mind, brain, and behavior. Nevertheless, one thing is clear: the more we understand the evolutionary origins of human intelligence and creativity and their development within our lifetime, the better we will be in a position to direct the future evolution of our species and our planet. For more on the development of intelligence and creativity, see my forthcoming book “Ungifted: Intelligence Redefined,“ coming this summer from Basic Books. * I put “human revolution” in quotes because more recent archeological evidence has seriously challenged this story. Most of the claims for a revolution involve a “Eurocentric bias”— based on the European Paleolithic record and ignoring the African record. The truth is, most of the artifacts associated with the rapid transition to behavioral modernity found 40,000 and 50,000 years ago in Europe are also found in the African Middle Stone Age tens of thousands of years earlier. These include blades and microliths, bone tools, increased geo- graphic range, specialized hunting, the use of aquatic resources, long-distance trade, art and decoration, the Berekhat Ram figurine from Israel, and an anthropomorphic figurine of quartzite from the Middle Acheulian site of Tan-tan in Morocco about 400,000 years ago. If Sally McBrearty and Alison Brooks are correct that modern human behaviors were gradually assembled starting as early as 250,000 to 300,000 years ago in Africa, this would mean that our cultural flourishing would have been more of a trickle than a burst, and would be consistent with Liane Gabora’s idea that our cultural flourishing in Europe was the result of a gradual use of the mental structures that already existed. 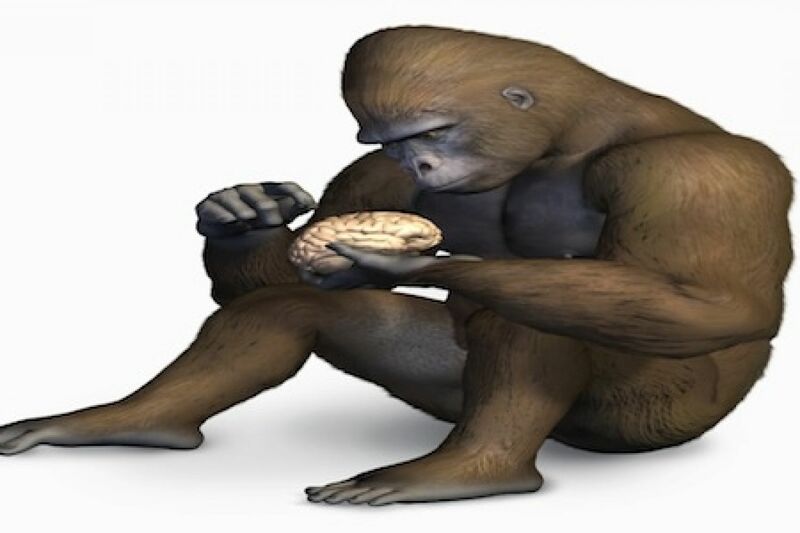 Gorilla image credit: iStockphoto; Cerebellum image credit: theAbysmal; Integrative Architecture image and Default Network image were illustrated by George Doutsiopoulos.